Editor's Note: Farm Manager 2018 is currently unavailable for purchase at time of publication due to copyright concerns. This article will be updated when the title becomes available again. Farm Manager 2018 is less a game and more a simulation. It stays true to its name — you truly do become a farm manager when you boot this game up. It will appeal to those who really enjoy long-form resource management and optimization. It is the first major video game release from Polish-based developer Cleversan Software. As wide as an ocean, and deep too! This title has a dizzying number of ways to be played. You can do anything from simple sustenance farming by hand all the way to lording over a lavish campus of factories. Its flexibility and replayability are where it is strongest. You will be able to customize nearly every detail of your farm, from what you want to grow, when to sell things given the market, who to hire seasonally, what mix of food you want to feed your animals of choice… you get the idea. The campaign serves as a decent tutorial to all of this, but further clarification, possibly in the form of a “farm-opedia”, would greatly help to ease players into all of the content and mechanics. Aside from the campaign, there are a ton of interesting scenarios to play through, and of course, a free play option to manage your farm however you wish. This title can feel a bit clunky to navigate through, but overall, Farm Manager 2018 performs well. What few bugs are present are actively being patched by the developers, which bodes well for its longevity. Like any management game, your actions take time to complete, but you are given a few speed options to finish tasks more quickly or pause to queue actions. The single largest issue that this title runs into is what happens when your tasks complete: nothing. Now, your buildings will build, your fields will be watered, etcetera, but the only incentive for doing anything in this title would come from one’s own neurotic sense of micromanagement. 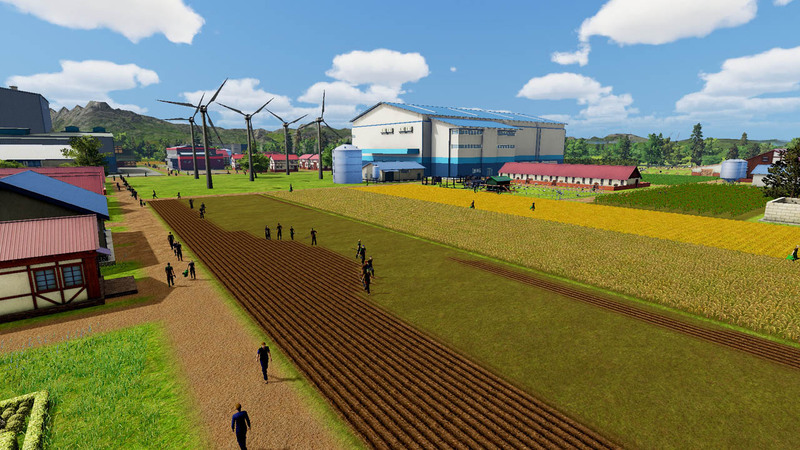 There is nothing in this simulator that is inherently rewarding — it simply lets you manage a farm. Even within the structured campaign or the slew of varied scenarios, the goals you are given are uncompelling and leave what could be a very decent release in a state of causing utter boredom for the vast majority of players. The sandbox element of a title like Minecraft is fun because one can play pretty much however one wishes, however, with this title… you better like hands-off agriculture. The micromanagement element of something like Civilization works because you are trying to win — and there just really is not much winning to be had in Farm Manager 2018. It is possible that this title could be far more engaging if you were competing against another farm, or were somehow otherwise more incentivized to slog through the hours and hours it takes to set up a successful farm. Barring significant core changes to this release, it will unfortunately be a chore for most to play through. This release is worth every penny that it charges because it delivers on what it promises to be. Some may find managing a virtual farm to be cathartic, others will be interested in figuring out how to min/max this title, but for the average consumer, or even those who have played light farming games in the past like Farmville, be warned: If you’re just looking to purchase a tycoon title, there are better options available currently. This title fills an extremely specific niche, and you should be absolutely certain that that niche is what is desired prior to purchase.